WP tuts has created an interesting three part tutorial on how to use test driven development when writing themes and plugins for WordPress. 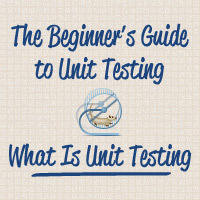 The first part introduces the concept of unit testing and it explains what is needed to be able to write unit tests for WordPress. The second part continues by introducing how to write a testable plugin and the third part looks at how to write a testable theme. What to do you think? Is this something that you are using when writing you plugins and/or themes? Are you using another way of testing your code? Maybe you think this is over doing it? Let us know! Leave a comment!